Children Need to be Fit. 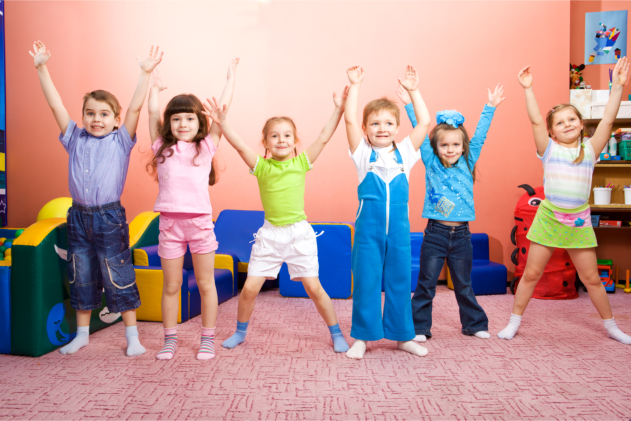 Know Why | Advance Childcare, Inc.
Who said that only adults need to get fit? Do you know that your children are also required to get active and be healthy? Surely, you would not need to exert extra effort to persuade your kids to move around and engage in physical activities since they are naturally active. If you are a parent, you would know how energetic your kids are, and you might even vividly remember the instances when you had to chase them after losing your grip of their hands. Haven’t you felt so much fear during that time? Be that as it may, you should still continue encouraging and supporting them to get involved in hobbies wherein they would not just enhance their individual skills, but they would also get fit. Do you know the reason why you should do so? For Stronger Heart. Like all other muscles in your body, the heart’s performance improves when constantly faced with challenges. The best period in a human’s life to strengthen the heart is during childhood when the body reacts smoothly with whatever tolerable activities you expose them to. When the child’s body reacts positively with good exercise, the heart also becomes stronger to ward off any heart diseases. For Lower Blood Sugar Levels. Every parent shall take note of this, especially those whose bloodline has a history of diabetes. Although only a few families may have genes susceptible to this disease, everyone shall keep track of their blood sugar levels, and this should include children too. With the right amount of exercise, a child’s body could prevent sugar from accumulating in the blood by using glucose to produce energy instead. For Healthy Weight. In most schools, if not all, obesity is among those reasons why a child gets bullied. Children, as young as they are, already perceive heavyweight as something negative. Thus, your child needs to have a healthy weight, not just to get fit, but to get away from unfortunate issues at school as well. For Steady Emotional Well-being. Depression is unlikely to happen to children because of their natural happy personality. As reinforcement, you should still persuade your kids to get as healthily active as they can for their body to release endorphin- the body’s happiness hormones. Your trusted child and adult care food program in Texas, Advance Childcare, Inc. opines that your children do not just need good nutrition from the foods they consume. As most CACFP Sponsors would probably agree to, your kids need to stay active as well. This entry was posted in Healthy Living and tagged Development, Emotional, Health, Performance, Skills, Weight. Bookmark the permalink.